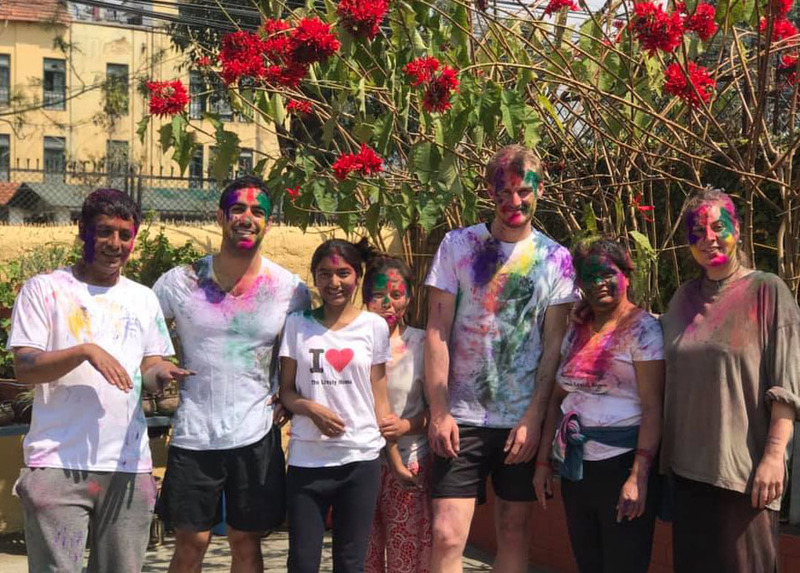 Color festival has arrived at Internship Nepal. The dynamics of color celebration is directed to bring people together and celebrate it in a unity. Our interns enjoy the joy of color and expressed their happiness at the premises. Their exceptional emotion towards the festival was wonderful to see. Cultural representation at the premises held hand in hand of all the interns. We were delighted to see the friendship among interns from different faculty. Colors not only bring joy, but coordination flourished among interns and our team members. They revealed themselves as friend rather than student-mentor relationship. The celebration and culture will remained in their heart for some time.